Rajesh Khanna (Hindi: राजेश खन्ना Punjabi: ਰਾਜੇਸ਼ ਖੰਨਾ, Urdu: راجيش کھنہ) (born Jatin Khanna on 29 December 1942) is an Indian actor of from Hindi films, and has been Hindi film producer and an Indian politician. He appeared in 163 films of which 105 had him as the solo lead hero and 21 were two hero projects. He won three Filmfare Best Actor Awards and was nominated for the same fourteen times. He received the maximum BFJA Awards for Best Actor (Hindi) – four times and nominated 25 times. He was awarded the Filmfare Lifetime Achievement Award in 2005. 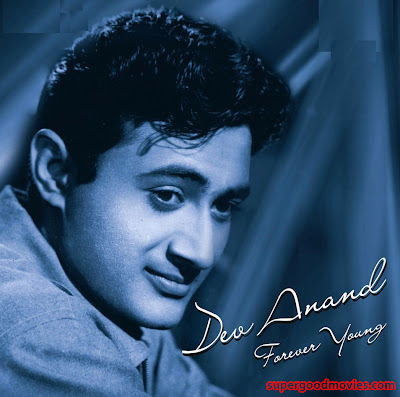 Khanna is referred to as the “First Superstar” of Hindi cinema.He made his debut in 1966 with Aakhri Khat and rose to prominence with his performances in films like Raaz, Baharon Ke Sapne, Ittefaq and Aradhana. Khanna was born in Amritsar on 29 December 1942. He was adopted and raised by foster parents who were relatives of his biological parents. Khanna lived in Thakurdwar near Girgaon. Khanna attended St. Sebastian’s Goan High School in Girgaum, along with his friend Ravi Kapoor, who later took the stage name Jeetendra. Their mothers were friends. 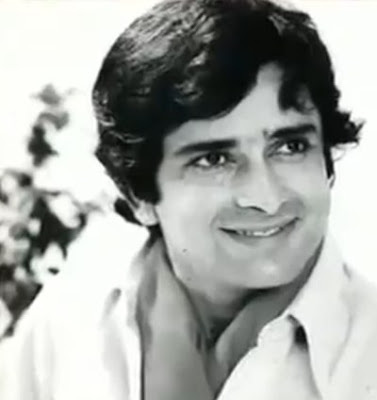 Khanna gradually started taking interest in theatre and did a of stage and theater plays in his school and college days and won many prizes in the inter college drama competitions.Khanna became a rare newcomer who struggled in his own MG sports car to get work in theatre and films in the early sixties. Both friends later studied in Kishinchand Chellaram College(KC). When Jeetendra went for his first film audition, it was Khanna who tutored him. Khanna's uncle changed Khanna's first name to Rajesh when Khanna decided to join films. His friends and his wife call him Kaka. In the late 1960s and early 1970s, Khanna fell in love with the then fashion designer and actress Anju Mahendru. They were in the relationship for seven years. Mahendru states that the couple did not speak to each other for 17 years after the breakup.Later Khanna married Dimple Kapadia in 1973 and has two daughters from the marriage. Khanna and Dimple Kapadia separated in 1984 as his schedule kept him away much of the time and Dimple became interested in pursuing an acting career, and thereafter lived separately, but did not complete the divorce proceedings. In the eighties Tina Munim was romantically involved with Khanna till the time she decided to leave the industry to pursue her higher studies. Years of separation brought about mutual understanding between Rajesh Khanna and Dimple Kapadia. Reporter Dinesh Raheja stated that “the bitterness between Rajesh and Dimple washed away", noting that they are seen together at parties and that Dimple campaigned for Khanna's election and also worked in his film Jai Shiv Shankar. Their elder daughter Twinkle Khanna, an interior decorator and a former film actress, is married to actor Akshay Kumar while their younger daughter Rinke Khanna, also a former Hindi film actress,is married to a London-based investment banker Samir Saran. Rajesh Khanna was one of eight finalists in the 1965 All India Talent Contest organised by United Producers and Filmfare from more than ten thousand contestants. Subsequently Khanna won the contest. He made his film debut in the 1966 film Aakhri Khat directed by Chetan Anand, followed by Raaz directed by Ravindra Dave both of which were a part of his predetermined prize for winning the All-India United Producers’ Talent Competition. G.P. Sippy and Nasir Hussain were the first to sign Rajesh Khanna after he won the contest. Khanna in an interview to Hindu newspaper said,"Though “Aakhri Khat” is my first film, I received my first break as a leading actor in Ravindra Dave's, “Raaz” in 1967. My heroine was Babita, already a popular actress then. Though I had lots of confidence, I was shy in facing the camera initially. In my first three shots, I had to perform with stress on my body language and dialogue delivery. Though I was right with my dialogues, my movements were not up to the mark. Ravindra Dave explained me my scenes and movements very clearly correcting my way of walking". Being under contract with United Producers, he got projects like Aurat, Doli and Ittefaq. He was then noticed for his performances in films like Baharon Ke Sapne, Aurat (1967), Doli, Aradhana and Ittefaq. Later Waheeda Rehman suggested Asit Sen to take Khanna for the lead role in Khamoshi. Through Aradhana he rose to "instant national fame" and film critics referred to him as the first superstar of India. In that film, Rajesh Khanna was cast in a double role (father and son) opposite Sharmila Tagore and Farida Jalal. The film also saw the resurgence of Kishore Kumar, who eventually became the official playback voice of Rajesh Khanna. The Kishore Kumar-Rajesh Khanna combination worked miracles and it was almost impossible to see them as separate identities. They became a singer-actor duo and together they gave many songs till 1991. Then in year 1971, Haathi Mere Saathi became the biggest hit and also became the biggest grosser ever till then.Khanna is also credited with giving Salim Khan and Javed Akhtar their first chance to become screenplay writers by offering them work in Haathi Mere Saathi. Javed Akhthar accpeted in an interview "One day, he went to Salimsaab and said that Mr. Devar had given him a huge signing amount with which he could complete the payment for his bungalow Aashirwad. But the film's script was far from being satisfactory. He told us that if we could set right the script, he would make sure we got both money and credit." Rajesh acted alongside Mumtaz in eight successful films. They were neighbours and got along very well, and as a result they shared a great on-screen chemistry. After Khanna married, Mumtaz decided to marry millionaire Mayur Madhwani in 1974. At the time, she was doing three films Aap ki Kasam, Roti and Prem Kahani with Khanna. She decided to quit movies only after completing these films. When she left films Khanna felt very lost. In one of her interviews, Mumtaz was quoted saying "I would pull his leg and tease him about his fan following. Whenever Rajesh entered a hotel in Madras, there was a queue of 600 girls waiting to see him at midnight. As a result, even I would get some importance, as people would ask for my autograph as well. He was very generous with his associates, and would party a lot." 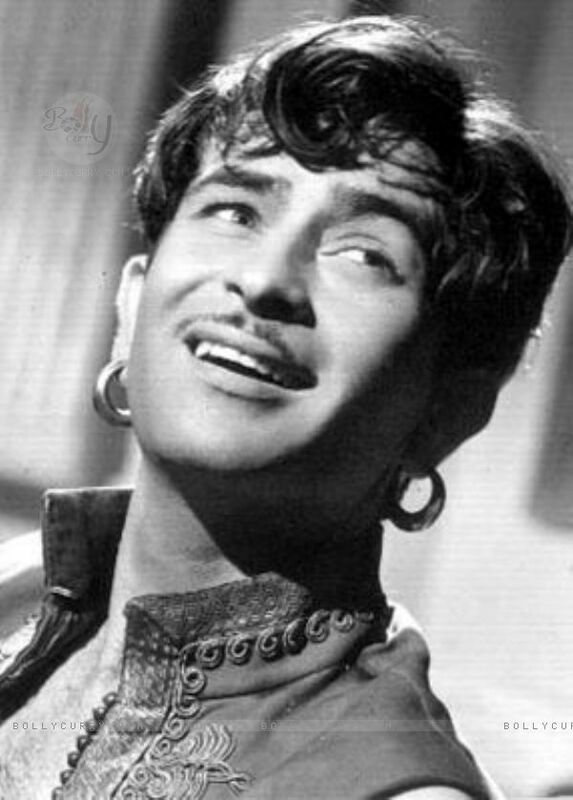 Several songs sung by Kishore Kumar in the 1970s were based on Rajesh Khanna. During the filming of the song 'Mere Sapnon Ki Rani' in Aradhana, Sharmila Tagore was shooting for a Satyajit Ray film and director Shakti Samanta had to shoot their scenes separately and then join the scenes together. The BBC made a film on him, titled Bombay Superstar, in 1974, the shooting for which began the same time when he got married and his film Daag premiered. In the video it can be noticed that Khanna was shooting for Aap Ki Kasam. A textbook prescribed by the Bombay University contained an essay, 'The Charisma of Rajesh Khanna!'. 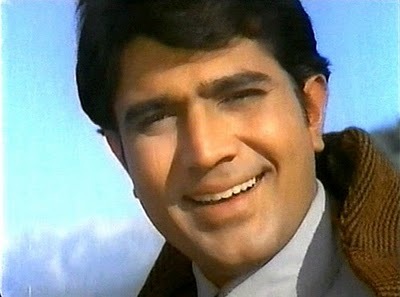 Music remained one of the biggest attractions of all Rajesh Khanna films throughout his career. Many of the musical scores for Khanna's films were composed by Sachin Dev Burman, R.D. Burman and Laxmikant-Pyarelal. The trio of Rajesh Khanna, Kishore Kumar and R.D. Burman went on to make a number of popular films, including Kati Patang, Amar Prem, Shehzada, Apna Desh, Mere Jeevan Saathi, Aap Ki Kasam, Ajnabee, Namak Haraam, Maha Chor, Karm, Phir Wohi Raat, Aanchal, Kudrat, Ashanti, Agar Tum Na Hote, Awaaz, Hum Dono and Alag Alag. 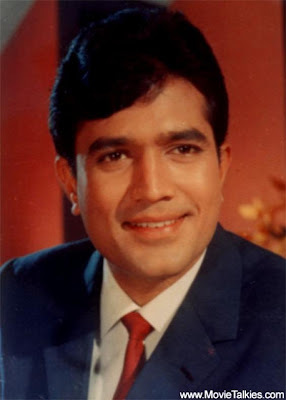 Rajesh Khanna had 15 consecutive solo superhits between 1969 to 1972, which is still an unbroken record in Indian film history. The commercial success of his films declined during 1976–78.In calculation of the 15 films, 2 hero films like Maryada,Andaz and films with box office result as hits were excluded -Mere Jeevan Saathi, Choti Bahu and Shehzada. Khanna considered Guru Dutt, Meena Kumari and Geeta Bali as his idols.Khanna dislosed in an interview," My inspirations include, Dilip Kumar's dedication and intensity, Raj Kapoor's spontaneity, Dev Anand's style and Shammi Kapoor's rhythm." He is a life member of the International Film And Television Research Centre, the International Film And Television Club and the Asian Academy of Film & Television. He is the Guest Faculty of 'Specialized Cinema Courses At Asian School Of Media Studies'. On 10 April 1999 Khanna inaugurated the live concert of S.P. Balasubramanyam held at Lal Bahadur Shastri Stadium, Hyderabad as a tribute to Pancham. In 2001 and 2002, Rajesh played the lead in two television serials: Aapne Parai (B4U & DD Metro) and Ittefaq (Zee TV). He performed in a video album based on Tagore's songs (Rabindra Sangeet) without payment, and is currently in the process of creating his own music channel "R.K. Music Channel". He also endorsed Star se Superstar tak – a talent hunt programme in 2007 and donated a Gold Trophy of Rs.1 crore. In its Silver Jubilee Episode on 14–15 March 2008, K for Kishore aired a Rajesh Khanna special. He signed on to star in a TV serial with Creative Eye Banner (Dhiraj Kumar) in 2007, and in 2008 performed in a TV serial, Bhabhima, with Leena Ganguly as his co-star. His successful TV serial Raghukul Reet Sada Chali Aayi began in November 2008 and ended in September 2009. Khanna cites the lack of good roles for actors like him in the films these days. He said in an interview on being queried about his decision to do TV serials, "The reach of TV is much more than cinema today and one episode of my serial is likely to be watched by more people than a super-hit film". In 2009, on his 67th birthday, Shemaroo Entertainment released his films and a song collection titled Screen Legends-Rajesh Khanna-the Original Superstar. When ever I listen this song I remember my childhood and door darshan and ofcource the legend actor Shashi Kapoor (Hindi: शशि कपूर), born Balbir-Raj Prithviraj Kapoor on 18 March 1938 in Calcutta (now Kolkata), is an award-winning Indian film actor and film producer. He has also been film director and assistant director in Hindi Films. He is a member of the Kapoor family, a film dynasty in India's Bollywood cinema. He is the younger brother of Raj Kapoor and Shammi Kapoor, the son of Prithviraj Kapoor, the widower of Jennifer Kendal, and the father of Karan Kapoor, Kunal Kapoor, and Sanjana Kapoor. He is remembered for many hit Hindi films like Jab Jab Phool Khile, Kanyadaan, Pyar Ka Mausam , Ek Shriman Ek Shrimati , Haseena Maan Jayegi, Sharmeelee, Aa Gale Lag Jaa, Fakira, Phaansi, Chor Machaye Shor, Mukti, Satyam Shivam Sundaram, Heeralal Pannalal , Junoon, Swayamvar and many such films, including ones he starred in with Pran like Chori Mera Kaam, Phaansi, Shankar Dada, Chakkar Pe Chakkar and with Amitabh Bachchan, such as Deewar, Namak Halaal. He has also played leading roles in a number of English-speaking Indian films, including the very first Merchant Ivory production The Householder followed by such as Shakespeare-Wallah, Bombay Talkie, Heat and Dust, etc. In 2011, he was honoured with the Padma Bhushan by the Government of India. He made his debut as a leading man in the 1961 Yash Chopra film Dharmputra and went on to appear in 168 films. He was a very popular debonair actor in Bollywood during the 1960s, 1970s and the mid 1980s. Shashi’s initial films like Dharmaputra directed by Yash Chopra and Prem Patra and Benazir both directed by Bimal Roy didn't do well. So he entered into English Movies. He was one of India's first actors to go international. But actress Nanda , who was already an established star with hits under her kit before Shashi tasted success, signed half a dozen Hindi films with him even when he wasn't doing well as she had faith in him that he could deliver good performances. Although their first film as a pair the critically acclaimed romantic film Char Diwari(1961) did not work, the rest were successful at the box office. In the 60’s Shashi had slew of solo hero box office romantic hit films opposite Nanda like Mehndi Lagi Mere Haath (1962), Mohabbat Isko Kahete Hain (1965), Jab Jab Phool Khile (1965), Neend Hamari Khwab Tumhare (1966), Raja Saab(1969) and Rootha Na Karo(1970). In the nineties in an interview, Shashi Kapoor declared that Nanda was his favourite heroine and regards as one of his mentors. Simlarly even Nanda declared in an interview that Shashi Kapoor was her favourite hero. 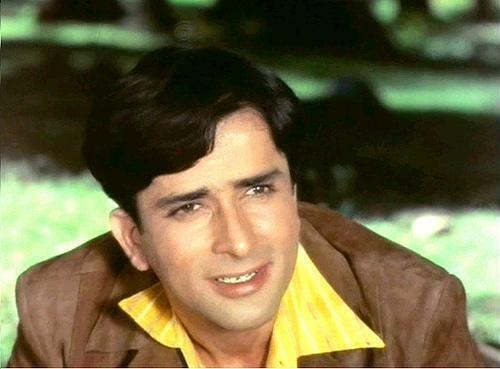 But Shashi Kapoor again faced stiff competition from Rajesh Khanna for acquiring romantic roles, due to which he had a weak period from 1969–1974 although he had hits with Sharmila, Rakhee, Asha Parekh and Nanda in this period. Shashi Kapoor formed a hit on screen pair with Rakhee, Sharmila Tagore, Zeenat Aman in the late sixties till the mid eighties. Although he has commercial success even opposite heroines like Hema Malini, Parveen Babi, Moushumi Chatterjee and others too , the pair Shashi-Rakhee, Shashi-Sharmila and Shashi-Zeenat was more popular among the audiences. With their first movie together Sharmelee becoming a blockbuster, Rakhee was paired frequently with him and they gave more hit films like Kabhi Kabhie (1976), Baseraa (1981), Zameen Aasmaan (1984) and Pighalta Aasman (1985) and the critically acclaimed Trishna (1978). The pair Sharmila- Shashi gave hits like Waqt (1965), Aamne Samne (1967), Suhana Safar (1970), Aa Gale Lag Jaa (1973), Paap Aur Punya (1974), Swati (1986) and the critically acclaimed New Delhi Times (1985), which fetched Shashi a National Film Award for Best Actor in 1986. With Zeenat Aman, he did Chori Mera Kaam (1975), Deewaangee (1976), Satyam Shivam Sundaram, Roti Kapda Aur Makan, Heeralal Pannalal (1978), Kranti (1981), Pakhandi (1984) and Bhavani Junction (1985). His most popular movies include Pyar Kiye Jaa (1966), Haseena Maan Jayegi (1968) and Ek Shriman Ek Shrimati (1969) both with Babita, Kanyadan, Pyar Ka Mausam (1969) both opposite Asha Parekh, Chor Machaye Shor opposite Mumtaz and Abhinetri (1970), Aap Beati (1976), Apna Khoon , Trishul (1978), Maan Gaye Ustaad (1981), Aandhi Toofan (1985) with Hema Malini, Bezubaan with Reena Roy, Chakkar Pe Chakkar (1976), Kali Ghata, Kalyug (1981), Vijeta (1982), Pyaar Ki Jeet(1987) all with Rekha and Bepanaah (1985) with Rati Agnihotri. Other solo hits include Dil Ne Pukara (1967), Naina (1973), Phaansi (1978), Salaakhen(1975), Fakira (1976), Junoon (1979) and multi-starrer Neeyat (1980).He also worked with Rajesh Khanna in Prem Kahani. In some of his successful films from the 1970s and in early 1980s he co-starred alongside Pran which include hits Biradari, Chori Mera Kaam, Phaansi, Shankar Dada, Chakkar Pe Chakkar, Rahu Ketu, Apna Khoon and Maan Gaye Ustaad and with Amitabh Bachchan in nine films of which Deewaar (1975), Kabhi Kabhie (1976), Trishul (1978), Kaala Patthar (1979), Suhaag (1979), Namak Halaal (1982) were commercially successful and Shaan (1980), Do Aur Do Paanch (1980) and Akayla were flops at the box office. Shashi was regularly casted with Sanjeev Kumar too in films like Mukti (1977), Trishul, Muqaddar (1978), Swayamvar(1980), Sawaal (1982), Pakhandi (1984). Shashi Kapoor, being a senior actor and more popular, was paid more than his male co stars like Amitabh Bachchan, Vinod Khanna, Jeetendra, Randhir Kapoor, Rishi Kapoor in those days with exceptions being Pran, Rajesh Khanna and Sanjeev Kumar who were paid higher than Shashi. Although he was in his forties in the late 70’s, being slim and still having charming looks he was casted with his nephews Randhir Kapoor and Rishi Kapoor and with younger heroines like Neetu Singh, Sulakshana Pandit, Bindiya Goswami, Rati Agnihotri and Poonam Dhillon till 1985. After loss of his wife in 1984, Shashi started slowly gaining weight and this resulted him in moving to character roles in films like Alag Alag, Ilzaam (1986), Sindoor (1987). From 1986 onwards, he became very obese and his body was in contrary to his slim and fit image from the early 60’s till 1985. He was also known internationally for starring in many British and American films, notably Merchant Ivory productions run by Ismail Merchant, such as Householder (1963) , Shakespeare Wallah (1965) (opposite his sister-in-law Felicity Kendal), Bombay Talkie (1970) and Heat and Dust (1982) in which he co-starred with his wife Jennifer Kendal, The Deceivers (1988) and Side Streets (1998). He also starred in other British and American films such as Pretty Polly (A Matter Of Innocence) (1967) opposite Hayley Mills, Siddhartha (1972), and Sammy and Rosie Get Laid (1987).Ismail Merchant also directed Shashi Kapoor in "In Custody" (Muhafiz) (1994). In 1980 he set up his production house, Film Valas, which produced critically acclaimed films such as Junoon (1978), Kalyug (1981), 36 Chowringhee Lane (1981), Vijeta (1982) and Utsav (1984). In 1991 he produced and directed a fantasy film titled Ajooba which had his frequent co-star Amitabh Bachchan and nephew Rishi Kapoor in the lead but the film was a disaster at the box office. Attended Don Bosco High School in Matunga, Bombay. In July 1958, he married the English actress Jennifer Kendal and they acted in a number of films together, most notably in the Merchant Ivory productions. 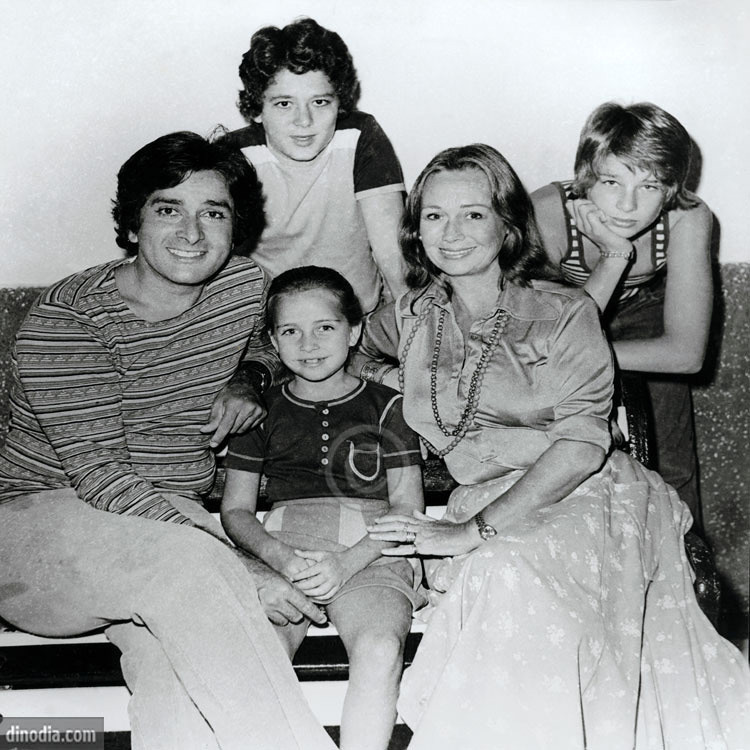 Shashi Kapoor and Jennifer Kendal met in Calcutta in 1956 while working for their respective theatre groups. Shashi Kapoor was both assistant stage manager as well as actor for his father’s theatre group, Prithvi. Geoffery Kendal’s Shakespearana group was also present at the same time in Calcutta and Jennifer was Geoffery’s daughter. After their subsequent meeting, the couple fell in love and after facing initial opposition from Geoffery and support from sister in law Geeta Bali, they got married.He had three children with Kendal; Karan Kapoor, Kunal Kapoor and Sanjana Kapoor. Jennifer and Shashi Kapoor established Prithvi theatre in 5 November 1978 in Mumbai.Kendal died of cancer in 1984. After his wife’s death, he became de-motivated and started to put on weight. He looked slim and fit in his films till 1985. The English actress Felicity Kendal is his sister-in-law. Shashi Kapoor’s children for a short while became film actors but their Caucasian looks and accented Hindi prevented them from having a successful career in Hindi films. His son Kunal is married to director Ramesh Sippy's daughter and Sanjana to wildlife conservationist Valmik Thapar. Kunal Kapoor then moved onto ad film direction and established his production house Adfilm-Valas which is today extremely successful.Karan Kapoor became successful in modelling and later he settled down in London and pursued a career in photography. Sanjana Kapoor is in incharge of Prithvi Theater today. Nargis Dutt (Hindi: नर्गिस; 1 June 1929 – 3 May 1981), born Fatima Rashid but known by her screen name, Nargis, was an Indian film actress. She is widely regarded as one of the greatest actresses in the history of Hindi cinema. She made her screen debut as a child in Talash-E-Haq in 1935, but her acting career began in 1942 with Tamanna. During a career that spanned from the 1940s to the 60s, Nargis appeared in numerous commercially successful as well as critically appreciated films, many of which featured her alongside actor and filmmaker Raj Kapoor. One of her best-known roles was that of Radha in the Academy Award-nominated Mother India (1957), a performance that won her Best Actress trophies at the Filmfare Awards and the Karlovy Vary International Film Festival. In 1958, Nargis married her Mother India co-star, actor Sunil Dutt, and left the film industry. She would appear infrequently in films during the 60s. Some of her films of this period include the drama Raat Aur Din (1967), for which she got the inaugural National Film Award for Best Actress. Nargis died in 1981 of pancreatic cancer, a few days before her son Sanjay Dutt made his film debut in Bollywood. In 1982, the Nargis Dutt Memorial Cancer Foundation was established in her memory.The award for best feature film on national integration in the annual National Film Awards ceremony is called the Nargis Dutt Award in her honour. Nargis was born into the tawaif tradition of Calcutta. Her mother, the Allahabad-based Hindustani classical music singer and courtesan Jaddanbai, did not teach her singing, to prevent her from falling into the tawaif tradition. Instead, she introduced her into the movie culture unfolding in India at the time. Her father was one Uttamchand Mohanchand (popularly known as Mohanbabu), a wealthy doctor born in a Mohyal Brahmin family from Rawalpindi. Her only brother, Anwar Hussain, also became a film actor. Anwar Hussain was born to Jaddanbai and a different husband, and was raised in Muslim tradition like his mother. 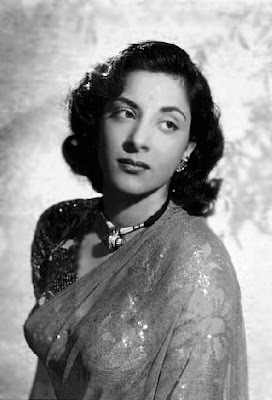 Nargis appeared in numerous movies after her film debut; she won lasting fame for her later, adult, roles, starting with at the age of 14, in Mehboob Khan's Taqdeer in 1943 opposite, Motilal. She starred in many popular Hindi movies of the late 1940s and 1950s such as Barsaat (1949), Andaz (1949), Awaara (1951), Deedar (1951), Shree 420 (1955), and Chori Chori (1956). In most of her films she starred alongside Raj Kapoor and Dilip Kumar. Her most famous role came in Mehboob Khan's Oscar-nominated rural drama Mother India in 1957. She won the Filmfare Best Actress Award for her performance. After her marriage to Sunil Dutt in 1958, Nargis gave up her film career after her last few film releases to settle down with her family. She made her last film appearance in the 1967 film Raat Aur Din for which she won a National Film Award for Best Actress, the first actress to win in this category. She also received a Filmfare Best Actress Award Nomination for this film. In 2011, Rediff.com listed her as the greatest actress of all time, noting, "An actress with range, style, grace and an incredibly warm screen presence, Nargis is truly a leading lady to celebrate." According to M.L. Dhawan from The Tribune, "In almost all her films Nargis created a woman who could be desired and deified. The charisma of Nargis’s screen image lay in that it oscillated between the simple and the chic with equal ease." Nargis married actor Sunil Dutt (himself a Mohyal from Jhelum, British India). Reportedly, Dutt had saved her life from a fire accident on the sets of Mother India.The couple married on 11 March 1958 and had three children together: Sanjay, Namrata, and Priya. Sanjay Dutt went on to become a very successful film actor. Namrata married actor Kumar Gaurav, son of veteran actor Rajendra Kumar who had appeared alongside both Nargis and Sunil Dutt in Mother India. Priya became a politician, and since 2005 has been a Member of Parliament (Lok Sabha). Along with her husband, Nargis formed the Ajanta Arts Cultural Troupe, which roped in several leading actors and singers of the time, and performed at remote frontiers to entertain the Indian soldiers; it was the first troupe to perform at Dhaka, after the Indo-Pakistani War of 1971 and the formation of Bangladesh. Later, Nargis worked for the cause of spastic children. She became the first patron of The Spastics Society of India. Her charitable work for the organisation got her recognition as a social worker. Nargis was diagnosed with pancreatic cancer and underwent treatment for the disease at Memorial Sloan–Kettering Cancer Center in New York.Upon her return to India, her condition deteriorated, and she was admitted to Breach Candy Hospital in Mumbai. She sank into a coma on 2 May 1981 and died on 3 May 1981. Her absence at the premiere of her son's debut film Rocky on 7 May 1981, where one seat was kept vacant for her, was a nationally famous event. Nargis is buried at Badakabarastan in Marine Lines, Mumbai. A street in Bandra, Mumbai was renamed Nargis Dutt Road in her memory. 1958 - She was the first film actress to conferred by the Government of India with the Padma Shri title, the fourth highest civilian award. 1968 - National Film Award for Best Actress for Raat Aur Din. She was also nominated to the Rajya Sabha (Upper house of Indian Parliament) (1980–81), but fell ill and died during her tenure. The National Film Awards honored Dutt by instituting the Nargis Dutt Award for Best Feature Film on National Integration upon her achievement in Bollywood. On 8 January 2001, Nargis Dutt was honoured with the "Best Artists of the Millennium" award by Hero Honda and film magazine Stardust along with actor Amitabh Bachan. Known as Ranbir Raj Kapoor (Rāj Kapūr, 14 December 1924 – 2 June 1988), also known as The Show-Man, was an Indian film actor, producer and director of Hindi cinema.He was the winner of nine Filmfare Awards, while his films Awaara (1951) and Boot Polish (1954) were nominated for the Palme d'Or at the Cannes Film Festival. His performance in Awaara, was ranked one of the "Top-Ten Performances of all time", by the Time Magazine.The Government of India honoured him with the Padma Bhushan in 1971 and the Dadasaheb Phalke Award in 1987 for his contributions towards Indian cinema. Raj Kapoor was born in Peshawar (Pakistan), British India (present day Pakistan), to a Hindu family of Prithviraj Kapoor and Ramsarni (Rama) Devi Kapoor (née Mehra). He was the eldest of six children in the family. He was the grandson of Dewan Basheshwarnath Kapoor and great-grandson of Dewan Keshavmal Kapoor, part of the famous Kapoor family. Two of Raj's brothers are actors Shashi Kapoor (a.k.a. Balbir Raj Kapoor) and the late Shammi Kapoor (aka Shamsher Raj Kapoor); the other two died in infancy. He also had a sister named Urmila Sial. At the age of eleven, he appeared in films for the first time, in the 1935 film Inquilab. After acting in several other films the next 12 years, Raj Kapoor's big break came with the lead role in Neel Kamal (1947) opposite Madhubala in her first role as a leading lady. In 1948, at the age of twenty-four, he established his own studio, R. K. Films, and became the youngest film director of his time making his directorial debut with the film Aag. Aag marked the first of many films in which he and Nargis appeared together. In 1949 he co-starred alongside Dilip Kumar in Mehboob Khan's blockbuster Andaz which was his first major success as an actor. He went on to produce, direct and star in many box office hits such as Barsaat (1949), Awaara (1951), Shree 420 (1955), Chori Chori (1956), Jagte Raho (1956) and Jis Desh Men Ganga Behti Hai (1960). These films established his screen image as The Tramp modeled on Charlie Chaplin's most famous screen persona. In 1964 he produced, directed and starred in Sangam which was his first film in colour. This was his last major success as a leading actor. Outside of his home productions his other notable films were Anari (1959), Chhalia (1960) and Teesri Kasam (1963). He produced, directed and starred in his ambitious film, Mera Naam Joker which took more than six years to complete. When released in 1970, it was a box office disaster. In 1971 he launched his eldest son Randhir Kapoor in Randhir's acting and directorial debut Kal Aaj Aur Kal which also starred Raj's father Prithviraj Kapoor as well as Randhir's would-be-wife Babita. He launched his second son Rishi Kapoor's career when he produced and directed Bobby (1973) which was not only a huge box office success but also introduced actress Dimple Kapadia, later a very popular actress, and was the first of a new generation of teen romances. Dimple wore bikinis in the film which was quite unique for Indian films then. Raj Kapoor's last major film appearance was in Vakil Babu (1982) wherein he appeared with his younger brother Shashi. His last acting role was a cameo appearance in a 1984 released British made-for-television film titled Kim. Raj Kapoor suffered from asthma in his later years; he died of complications related to asthma in 1988 at the age of 63. At the time of his death, he was working on the movie Heena (an Indo-Pakistan based love story). The film was later completed by his sons Randhir and Rishi Kapoor, and narrated by his brother Shammi Kapoor. The movie was released in 1991 and became a huge success at the Box Office. When he was being conferred upon the Dadasaheb Phalke Award, where his brother Shashi Kapoor was also present, the crowd was clapping around when President Venkataraman, who saw Kapoor's discomfort, came down the stage to give the award to the legend in the middle of thundering claps where he was breathing his last breath. And suddenly Kapoor collapsed, and was rushed to the All India Institute of Medical Sciences for treatment. The country's top cardiologists tried their best, but could not save him. Raj Kapoor is appreciated both by film critics and ordinary film fans. Film historians and movie buffs speak of him as the "Charlie Chaplin of Indian cinema," since he often portrayed a tramp-like figure, who, despite adversity, was still cheerful and honest. His fame spread worldwide. He was adored by audiences in large parts of Africa, the Middle East, the former Soviet Union, China, and Southeast Asia; his movies were global commercial successes. Raj had the knack of getting the best out of any one, since he had mastered all departments of film making and even marketing them. [peacock term] When Pandit Jawaharlal Nehru died in 1964 coinciding with release of Sangam, he took the opportunity to create a scene when Gopal ashes were immersed in Ganges, like Pandit Nehru described in his poetic will. His films reflected the Era in which it was made. 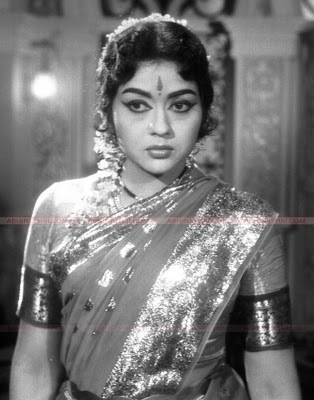 Krishna Kumari (born 1933) is a noted Telugu actress of the 1960s and 1970s She was a leading actress and competed Savitri and acted alongside great legendary actors N.T.R, A.N.R etc. She acted in Tamil movies too. She has done many films in Kannada too that also with the kannada veteran Rajkumar, especially in many mythologic films. Kumari was born in Naihali, West Bengal. She is the younger sister of Telugu actress, Sowkar Janaki.Krishna Kumari started her career with movie Navvithe Navaratnalu in 1951. Kumari acted in many Telugu and Tamil movies. She did some mythological and folklore movies with Kanta Rao. She was married to Ajay Mohan Khaitan(ex Indian express editor and businessman) and they have a daughter Dipika. After marriage she slowly disappeared from her movie career. She now lives in Gubalala, Bangalore. she enjoys her sprawling gardens and loves cooking for her husband and her daughter and son inlaw Vikram Maiya and lately her grand son Pavan Maiya. She enjoys her sister Sowcar Janak's company who lives on the same farm. The extended family also plays a large part in her retired life. She also enjoys her vegetable shopping twice a week and her night-outs with her husband and couple friends. My another favoret actor Sobhan Babu (Telugu: శోభన్ బాబు) (January 14, 1937 – March 20, 2008) was an Indian film actor in Telugu cinema. 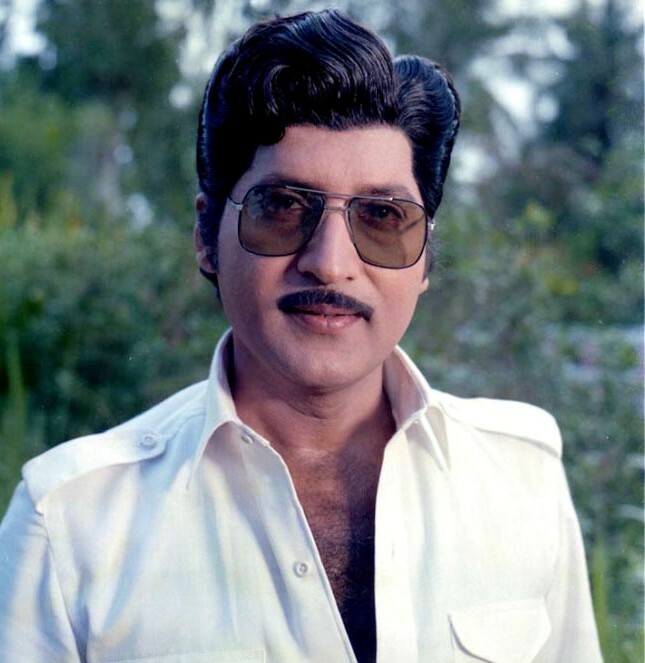 Born as Uppu Sobhana Chalapathi Rao to a middle-class family, Sobhan went on to become a romantic icon and was one of the top Tollywood heroes for two decades. He made his film debut with Daivabalam directed by Vasanthkumar Reddy, but his first film to hit the screens was Bhakta Sabari. A son of Uppu Suryanarayana Rao, Babu had three sisters Dhanaranga, Jhansi and Nirmala, and a brother, Sambasiva Rao. Babu completed his initial schooling in Kuntamukkula Mylavaram. He pursued his Intermediate in Vijayawada and finished his degree at Andhra-Christian College in Guntur. Later, he studied law in Chennai, but ultimately discontinued it. He married Shanta Kumari on on 15 May 1958; they had a son, Karuna Seshu and three daughters: Mrudula, Prashanti and Nivedita. Shoban Babu was one of the popular actors of his generation in Telugu Cinema. He has taken over the fame from Akkineni Nageswara Rao as romantic & glamour actor. Hence he was extremely popular among the women audiance. Particularly he got reputation among his fans as acting along with more than one heroine in many of his movies. He did not allow his children into cinema field and even he didn't like his children to come to film studios and shootings. I still remember the days when I used to watch movie in doordarshan on sundays on a black and white Telivision.Those are the happiest days. well lets come back to our topic. Dev was born Dharam Dev Pishorimal Anand on 26 September 1923 in the Shakargarh tehsil of the Gurdaspur district in Punjab (British India) present-day Narowal district of Pakistan). His father Pishori Lal Anand was a well-to-do advocate. Dev was the third of four sons born to Pishori Lal Anand. One of Dev's younger sister is Sheela Kanta Kapur, who is mother of Shekhar Kapur. His older brothers were Manmohan Anand (Advocate, Gurdaspur Dist. Court) and Chetan Anand and younger one was Vijay Anand. Dev Anand spent his early years in Gharota village near Gurdaspur, Gurdaspur town. He did his schooling till matriculation from Sacred Heart School, Dalhousie, Himachal Pradesh (then in Punjab) and went to college Dharamsala in Himachal Pradesh before going to Lahore to study. Later Dev completed his graduation in English Literature from the Government College, Lahore in British India. Dev Anand died in his room at The Washington Mayfair Hotel in London at the age of 88 on 3 December 2011 (4 December 2011 by Indian Standard Time) of a cardiac arrest. His death came just months after the release of his last film, Charge Sheet. Anand was reportedly in London for a medical check up at the time of his death.Condolences poured in from all corners of the Indian film industry, with most of them remembering his positive attitude towards life.On 10 December, his funeral service was held at a small chapel in London after which his casket was taken to the Putney Vale Crematorium in West London for cremation. His ashes were returned to India for immersion burial in the Godavari river.